This merino goes to eleven. 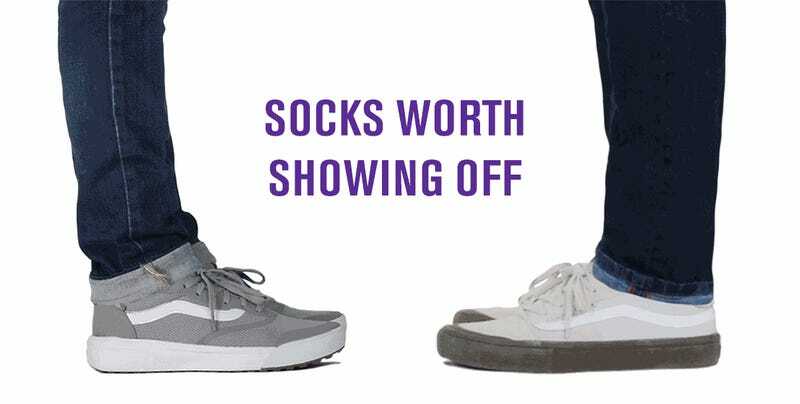 Lamenting the lack of loudness in your favorite pair of merino socks? Your favorite sock maker just changed that with a new print-on-process I got eyes (but not feet) on with at Outdoor Retailer in January. Basically, merino yarn is typically pre-dyed, but with Smartwool’s new, still-in-America system, the stitched sock is printed on in 360 degrees, which I expect will open the floodgates for custom sock creations and more wild styles in the future. For now, you no longer have to choose between moisture wicking and style.